The group has received the award for the second year in a row as an acknowledgement of consistency of performances, reliability of service and quality of products. Milan, 6 April 2018 – On the occasion of the Airbus Electrics Supplier Awards 2017 ceremony organized by Airbus in Toulouse, Prysmian Group received the Airbus Industrial Excellence Award 2017 within the Electrics Supplier Awards category that reward Airbus’ best suppliers for the technical, operational and commercial performances, as well as for the noticeable realizations achieved by the Aerospace BU. Prysmian is one of the main suppliers of electrical wires and cables to major international aircraft manufacturers and over the years has shown outstanding performances, especially in its collaboration with Airbus. For the second year running, Prysmian stood out among all other Airbus suppliers of electrical wires and cables, in terms of efficiency, industrial performances and service quality. As a matter of fact, the Group received also the 2016 award, an exceptional and well-deserved achievement. Prysmian and Airbus have a long-standing business relationship built over the years with the supply of tens of thousands of kilometres of cables for all Airbus aircrafts, including the newest A320 neo and the most technologically advanced A350. This award does not represent only an outstanding achievement but also a clear sign of acknowledgement and appreciation by Airbus of Prysmian’s key role within their supply chain and Prysmian’s strengths as a valuable supplier: consistency of performances, reliability of service and quality of products. The evaluation parameters that led to the award of the prize attained operational excellence – in terms of commercial and technical capabilities – quality and logistics, industrial excellence and overall strategic excellence. The evaluation report compiled for the purposes of the Airbus award showed a consistent growth in all of these parameters and underlined not only the Group’s industrial excellence and product quality features but also the great reactivity on customer requests and the ability to support short term customer demands. “For the second year in a row, we have obtained an outstanding achievement based on competence, business understanding, Team Play attitude and a genuine spirit of strong collaboration with our customers” points out Giacomo Sofia, Prysmian Group Manufacturing Director. 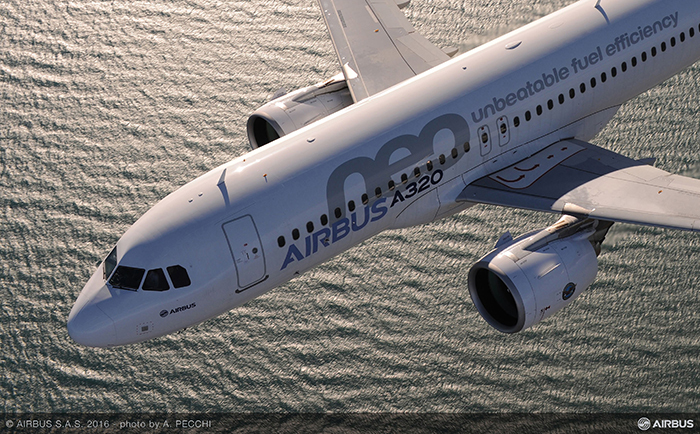 “Striving for perfection is the mantra of our Aerospace BU team and Airbus spurs us to raise the bar of our performance higher and higher”, added Christophe Pelletier, BU Aerospace Sales Director. The Airbus Industrial Excellence Award is the result of an outstanding team effort and hard work that was essential to meet the challenging requirements of Airbus: congratulations to the Aerospace team!